The girls also belong to powerful secret societies, among them "Asigidi" and "Owegbe" through which they flaunt their social connections and wealth. Nobody who crosses a member's path is ever spared the ordeal of at least two days in detention at the Criminal Investigation Department, CID, Benin. Said Nosa Osagiede, a secondary school teacher in Benin: "It's very easy for a member to deal with you. She goes to the CID and tells a policeman: You have to handle one fellow for me, officer. I am an Akatarian". "Akatarian" is the popular term in Benin for one who has been to Europe, particularly Italy, and made so much money. The Akatarian girl gives the officer the address of the "offender" and some dollars and he does her bidding (27 July 1999). Also some police men are part of the cult and politicians. Asigidi and Owegbe members are in all part of Italy and Africa beyond and they are involved in ritual purpose. In a 1999 newsletter, the Center for the Study of World Religions published a speech given by a professor of church history at the University of Nigeria, which described the Owegbe cult as an example of a modern-day representation of village "base communities" (24 Feb. 1999). The professor stated that "in traditional societies, power and authority were sacralized and ritualized with symbols and hedged with secret cults. These mobilized the political elite and substantiated the theory of obligation," giving communities a sense of legitimacy (ibid.). In the present day, "protagonists legitimate their adventure by posing as representatives of their village base communities," thereby "rooting themselves in the sacralized power structures and secret cults" (ibid.). These cults are therefore used to "mobilize the political elite as foot soldiers of ethnic interests and warfare," and cults such as the Owegbe enable access to wealth, economic opportunities and power (ibid.). An Africa News article referred to a vigilante group that the Edos in Edo State may establish called the Owegbe Vigilante Outfit (8 July 2001). However, no further information was available. 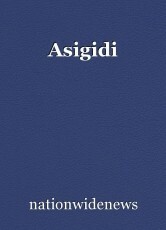 The founders of Asigidi Cult in Nigeria are Ighayere efosa, osagie edokpolor, Tunde adeleke and Nwabueze. They are from all parts of Nigeria and they have expanded the cult to some part of Africa where their members reside. The cult was formed to eradicate poverty whereby initiating members into it and to promote the worship of the grand lord asigidi, god of the asigidi members. The origin of the cult , it was first formed in Benin City Edo state Nigeria but now it has spread to all part of Nigeria and Africa beyond because their branches are in most part of Africa winning souls for asigidi. Asigidi cult is deadly and evil and their members are highly connected in the society because they have spiritual power and affluence. They force their members elderly kid to be part of the cult once their father is dead if the kid refuse to join them, they will kill him because it is an oath taken by their late father . the cult has been in existence for years. The girls also belong to powerful secret societies, among them "Asigidi" and "Owegbe" through which they flaunt their social connections and wealth. Nobody who crosses a member's path is ever spared the ordeal of at least two days in detention at the Criminal Investigation Department, CID, Benin. Said Nosa Osagiede, a secondary school teacher in Benin: "It's very easy for a member to deal with you. She goes to the CID and tells a policeman: You have to handle one fellow for me, officer. I am an Akatarian". "Akatarian" is the popular term in Benin for one who has been to Europe, particularly Italy, and made so much money. The Akatarian girl gives the officer the address of the "offender" and some dollars and he does her bidding (27 July 1999). Also some police men are part of the cult and politicians. Asigidi and Owegbe members are in all part of Italy and Africa beyond and they are involved in ritual purpose. In a 1999 newsletter, the Center for the Study of World Religions published a speech given by a professor of church history at the University of Nigeria, which described the Owegbe cult as an example of a modern-day representation of village "base communities" (24 Feb. 1999). The professor stated that "in traditional societies, power and authority were sacralized and ritualized with symbols and hedged with secret cults. These mobilized the political elite and substantiated the theory of obligation," giving communities a sense of legitimacy (ibid.). In the present day, "protagonists legitimate their adventure by posing as representatives of their village base communities," thereby "rooting themselves in the sacralized power structures and secret cults" (ibid.). These cults are therefore used to "mobilize the political elite as foot soldiers of ethnic interests and warfare," and cults such as the Owegbe enable access to wealth, economic opportunities and power (ibid.). An Africa News article referred to a vigilante group that the Edos in Edo State may establish called the Owegbe Vigilante Outfit (8 July 2001). However, no further information was available. The founders of Asigidi Cult in Nigeria are Ighayere efosa, osagie edokpolor, Tunde adeleke and Nwabueze. They are from all parts of Nigeria and they have expanded the cult to some part of Africa where their members reside. The cult was formed to eradicate poverty whereby initiating members into it and to promote the worship of the grand lord asigidi, god of the asigidi members. © Copyright 2019 nationwidenews. All rights reserved.